There is nothing like enjoying the rich flavorful notes of a of top shelf Merlot surrounded by the serenity of the beautiful sights, smells, and peaceful ambiance of the Santa Ynez Valley. Whether you live in a nearby town, are taking a break from the noisey business of L.A., or visiting from out of town, Santa Ynez wine country is a destination that provides all that you need in a classy, quiet getaway. However, just because the Santa Ynez area offers everything that you could want or need in a California wine country getaway, it doesn’t mean it can’t be the perfect place to shake it up a little—or a lot—with your closest girlfriends before you tie the knot or create the wedding of your dreams. Regardless if you are looking for a fancy date night with your significant other or a place to hold your next big corporate event, there is something for everyone here in Santa Ynez, California, wine country. We at Silk Road Transportation & Wine Tours offer services to Santa Ynez, Solvang, Buellton, Los Olivos, Santa Barbara, Montecito, Lompoc, and Santa Maria that not only can provide convenience, but also add a special element that can make your California wine country vacation or weekend getaway everything and more that you hoped it would be. Whether you are looking to surprise your partner with a date night that they will never forget, want to experience wine country to its fullest, or need a reliable and classy transportation from the Santa Ynez Airport or the Amtrak station, Silk Road Transportation can provide you with the private transportation and wine tour experience that will help you make unforgettable memories. Enjoy all that the Santa Ynez area has to offer including backcountry roads that wind through miles of serene picturesque landscapes that surround some of the area’s best wineries. Enjoy all this and more with convenience and ease while riding in one of our luxurious vehicles with one of our experienced chauffeurs at the helm. 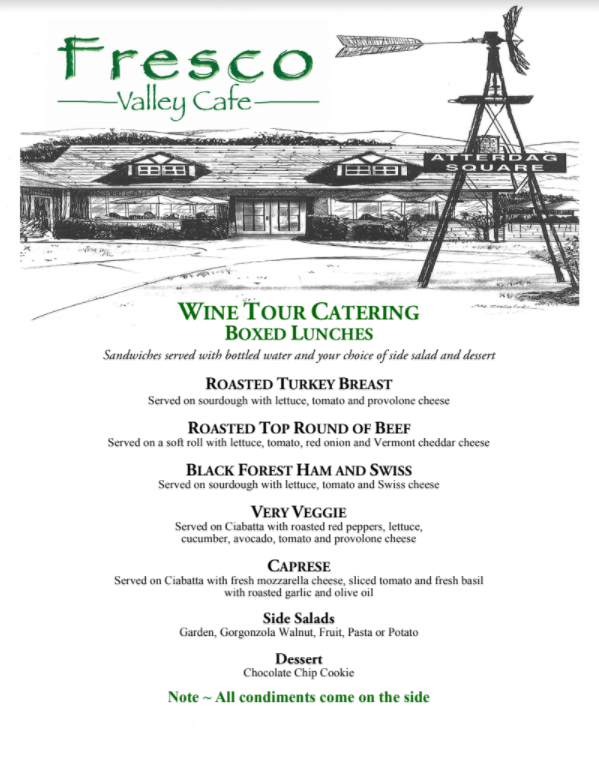 As part of the Santa Ynez wine tour experience that we offer, we also provide a picnic lunch catered by the area’s finest local restaurants as well as vehicular upgrades; get all this and more from chauffeurs who have the inside scoop on must sees and experiences of the area. Choose from one of our tours or hire one of our wine chauffeurs. Door-to-door professional and knowledgeable transportation service. If you know the wineries that you want to tour and want to tour at your own pace, our wine chauffeurs can give you the royal treatment. Get door-to-door service and tour California’s finest wine country. Tour the Santa Ynez in style with a choice between several of our luxurious vehicles. We offer everything from a classic ride with our pristine, classic limos, as well as spacious school bus-style party bus options when it’s time to turn it up a few notches. You can also choose from our Suburban LTZ, Mercedes Sprinter, and Towncar. Our chauffeurs would love to give you and your guests the royal treatment and help you experience all the sights, sounds, smells, and tastes of Santa Ynez wine country. If this is your first California wine country tour, be sure to read our Tips for Getting the Most Out of Your Wine Tour. Are you planning your best friend’s bachelorette party and are at a loss? Are you wanting to do something more than just a night out of bar-hopping? Would you possibly classify your friend as a vinolorette? If you can answer yes to any of these questions, maybe it’s time to surprise your friend and her bridal party with an unforgettable weekend in California wine country. Your friend’s bachelorette party should be an unforgettable night or weekend of memory-making with her closest friends and we would love to help you turn up your weekend for a fun, yet classy getaway. We at Silk Road Transportation & Wine Tours understand how important it is to make an unforgettable weekend and want to help you plan an event that the bride and her guests wouldn't soon forget. We offer several bachelorette party packages that will not disappoint. Our premiere package is for those vinolorettes who want to turn up the weekend and leave nothing undone. Get all that is included in our Classic Package and the option for the following up grades. Give the bride the royal treatment in Santa Ynez wine country before she ties the knot with an exclusive weekend with all the best of this little bit of paradise. Is it time for a night out? Are you planning a birthday or another event and looking for an evening out in downtown Santa Barbara? The chauffeurs of Silk Road Transportation & Wine Tours would love to help you create an unforgettable night with door-to-door service, no waiting time, and transportation in style to and from your night on the town. We can offer a party bus when you want to turn it up with your closest friends or a limo when you want to keep the night classy. We also offer SUVs, sedans, and a sprinter van as well. Whatever the occasion, whether you’re celebrating another year older, tying the knot or simply in need of a night out with the guys, girls, or your closest friends, we can offer you a ride in style. Leaving the valley after 6 p.m.
Leaving SB back to the valley at 1 a.m. Silk Road Transportation & Wine Tours can help you make a night to remember with a classy and reliable ride. We provide reliable, beautiful vehicles and professional chauffeurs for special events in the Santa Ynez Valley and the surrounding areas of Solvang, Buellton, Los Olivos, Santa Barbara, Montecito, Lompoc, and Santa Maria. We want to provide you with the limo or car service that will not only get you where you going but add to your special event in the only way that professional car service can. Here are some of the special events that we provide car service and limos for. However, if you have something different in mind, request a quote! We don’t just offer exclusive wine tour experiences or limo and car service for bachelorette parties and a night out. We can also provide all that you need on one of the most special days of your life: your wedding. There is a lot to consider on your big day and, frankly, no matter how organized you are, the day will probably be a little stressful. Our chauffeurs would love to help create an unforgettable and stress-free day. We will always arrive on time, dressed to the nines, with impeccably detailed transportation. We can provide a town car or limo for you and your partner or even provide shuttle service to make sure that all of your guests arrive to your venue on time and without stress. To learn about the options that we can provide you, request a quote. Santa Barbara and the surrounding areas draw some of the biggest names and events of the music industry, creating some of the biggest and most exciting parties of the year. If you have booked the concert of the year or just want to arrive like a VIP, we can provide the royal treatment. Instead of fighting for a parking spot or hiring one of those other unreliable car services, hire us! We can provide door-to-door service in one of our comfortable vehicles so you can not only avoid the stress of getting to and from the show, but also worrying about having a designated driver or maneuvering traffic late at night. Contact us for a quote for our impeccable limo service, party buses, and more! It’s not just concerts that draw the big crowds. Santa Barbara and the surrounding areas attract some of the biggest names in the game. You could just choose a designated driver, stress about parking, and hope that the drive home isn’t too stressful, but why? If you’ve been waiting for this big game all year or are ready for a night out with the guys or with your closest friends, it may be time to book with our car service, hire one of our trusted limo drivers, or turn it up a few notches with one of our party buses. Call us to learn more about our sporting event packages! Santa Barbara isn't’ just known for our beautiful wine country and our busy downtown area. We are also home to the Chumash Casino. You don’t have to go all the way to Vegas to try your luck and have a classy getaway. Enjoy a night at the blackjack table in style with a chauffeured ride in a limo or town car with us and your date or closest friends. If you feel like you have bigger fish to fry, we can take you all the way to Vegas! Request a chauffeured ride in style to and from Vegas! You’ve worked hard and it’s finally time to wear that the cap and gown and move on into the rest of your life. You only graduate once and you may never be with these close friends again, so why not hire a limo to take you to graduation and the after party or a night downtown celebrating? We’d love to help you celebrate with friends and family! You’ve earn it! Call Silk Road Transportation & Wine Tours for a quote! Is it time for that celebration that you have been planning for all year? Prom and school dances are the time to cut loose and celebrate. You’ve bought the dress, have the perfect date—or perfect group of friends—why not hire limo service? We have a variety of options that can not only have you arrive to the dance in style but provide a reliable means of getting to and from all those after-parties. We also provide refreshments as well! Call us for a quote! We understand that when you are traveling on business or when an important client is in town, not just any car service will do. Our Top Rated Local® transportation services would love to help you, your clients, and others get the quality and high-class transportation that you need. We can offer you service to and from important meetings, as well as airport and Amtrak transportation. Call us for car service that you can rely on to not only get you where you need to go, but also make a good first impression. Silk Road Transportation & Wine Tours provides Top Rated Local® transportation services. No matter what the event, whether it be for a wine tasting tour, airport car service, prom, quinceanera, bachelorette party, wedding, or any other special occasion, we can provide professional chauffeurs for a comfortable, special experience. We offer several options that can get you to and from where you need to be, as well as add to the overall experience. Whether you are coming to this area of the California’s wine country for a wine tour, a weekend getaway, an unforgettable bachelorette weekend, or are here on business,the Santa Ynez Valley and the surrounding areas of Santa Barbara offer a lot not only in comfort, but also sights, sounds, and food that you can’t find anywhere else. Eat, sleep, and enjoy yourself, whenever you visit the heart of California wine country. Taking a wine tour in the Santa Ynez area is unlike many other tours. Getting the most out of your wine tour requires some preparation and planning. Here are a few ways to get the most out of your wine tour. Instead of wearing that new pretty, bright white dress, opt for wearing darker colors without big frills and sleeves. Not only are spills easily hidden, but avoiding big sleeves and the like will keep you from spilling the vino! Even if you plan on spitting out most of the wine you are tasting, you still want to make sure that you have enough food to get you through the day of touring. Eat before you begin tasting and be sure to make time for lunch. Whenever you’re going to a fancy event such as wine tasting, its second nature to spritz on a little perfume. We recommend that you don’t! Wine tasting is all about just that—tasting—and part of the sense of taste is smell. So, to get the full experience and taste all the nuances of each wine, leave your perfume at home. You won’t need to show up with a pen and pad of paper, but you should take notes. Make mental notes or take pictures of your favorite wines and type of wines so you can take some home with you or so you can learn more about which wine you like. Wine tasting and touring can be education, but it is also supposed to be fun; winemaking and tasting is all about enjoying the fullness of life. So, make sure to have fun enjoying time with your guests and the sights, sounds, smells, and tastes of wine country. It isn't everyday that you get to experience the best of California’s wine country. Learn how to get the most out of your wine tour getaway, plan an unforgettable bachelorette party, and a little more about the wine itself on our blog. We post regularly about these topics and how to enjoy your experience in one of our limos, party buses, or town cars.